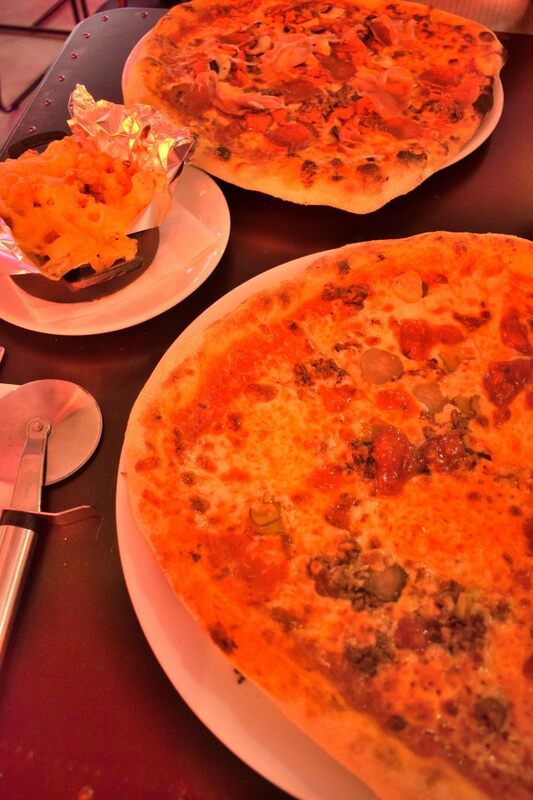 Calling all pizza lovers, did you know there’s a place where you can have unlimited pizza toppings? I repeat, UNLIMITED PIZZA TOPPINGS. New kid on the block, Pizza Punks in Grey Street, Newcastle, have launched a pizza revolution with the aim to punk up the base. 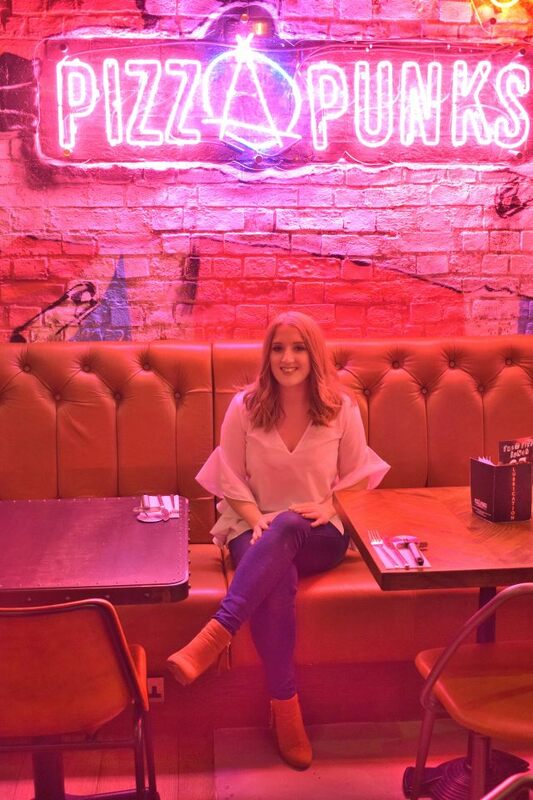 Inspired by its love of proper pizza and motivated by its drive to do something different and unique, Pizza Punks, specialise in creating Artisan woodfire pizzas that are totally customisable by allowing customers to choose as many toppings as they want without charging more. HALLELUJAH. 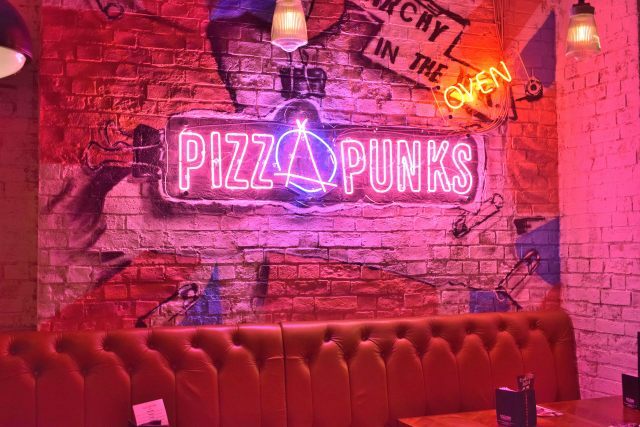 Pizza Punks is completely Instagrammable with industrial-inspired decor topped with poppin’ neon signs and a seriously cool attitude. The atmosphere was then set with old cool Fall Out Boy playing in the background, so for me, I was in my element. 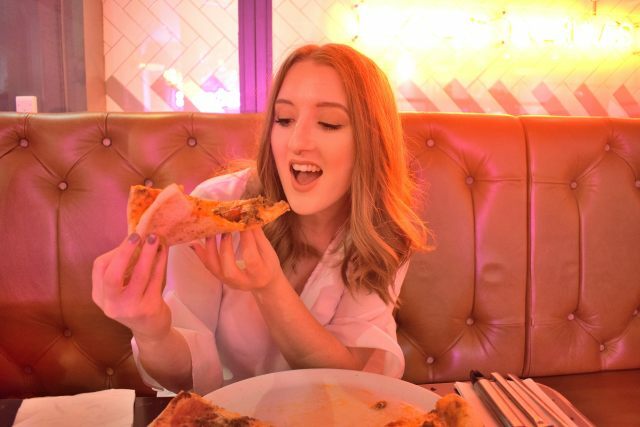 The menus have been designed with everyone in mind, from single slices to sharing selections, and as a lover of pizza I found it really hard to decide. In the end I went for the SAY Cheese!Burger, while my friend choose to make her own. 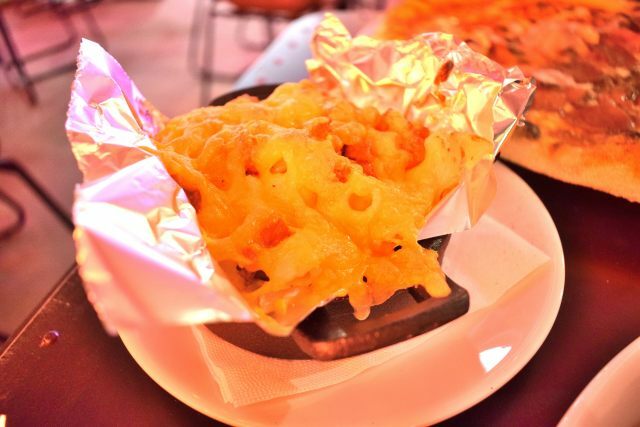 We also got the MAC ‘N’ Cheese with chorizo and Sourdough CheeseBurger Bites on the side. 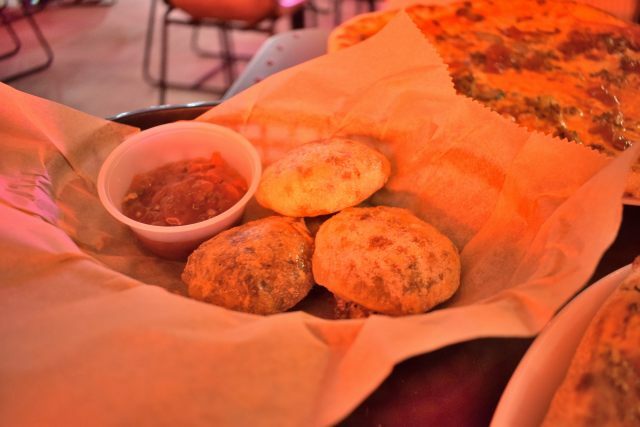 The Punk Up Your Pizza option works in four steps. Firstly you choose your base, which is either sourdough, or gluten-free. The bases are open, shaped by hand and are roughly 12”. Secondly comes the sauce, and the options are red (San Marzano tomato, basil and garlic), white (creme fraiche and double cream) and BBQ. The next step involves cheese, such as mozzarella, Scamorza, goats, vegan and parmesan. Then finally it’s time to punk up the base with a wealth of ultimate toppings – all of them can be found here. 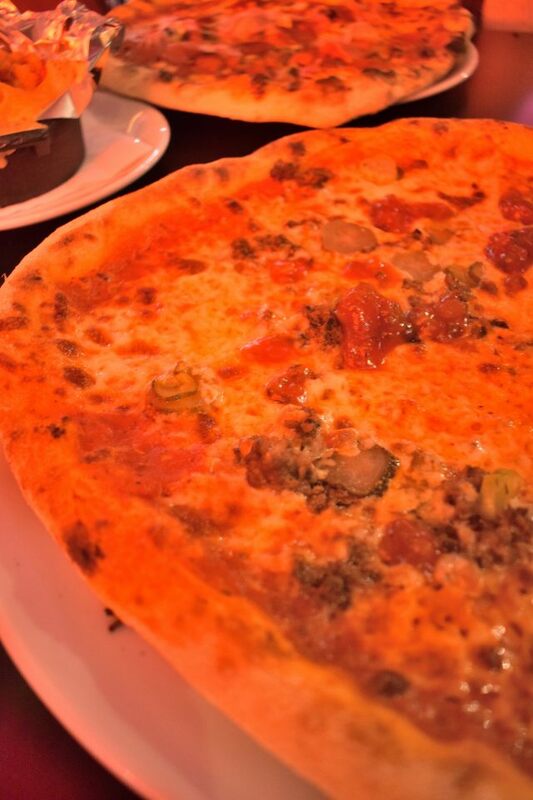 Cheese burger fused with pizza – a genius creation that tasted absolutely delicious. Tender meatballs and crunchy pickles on a bedding of Applewood smoked cheddar, burger relish, red sauce and a soft-on-the-inside-but-crispy-on-the-outside base. I’ve never had a cheeseburger pizza before and it was pretty epic taste-sensation. Since I couldn’t eat it all in one sitting, I took some home and had it the next day for dinner. I can confirm it tastes just as good cold the day after too! I’m glad we got the sides to share as they were quite lavish portions. The MAC ‘N’ Cheese with chorizo was a gooey, cheesy, meaty mess. Rich in flavour and the combination of the textures just left you wanting more. Even when I was bursting out of my jeans, I couldn’t help but have one more fork full here and there. We also got the Sourdough Cheeseburger Bites, which were homemade beef burger patties mixed with American cheese and gherkins, served with burger relish for dipping. Again, these were absolutely delicious. Personally, I would say they were more like little mince pies, rather than burgers, but I’m a huge fan of pie too, so it was a win-win. 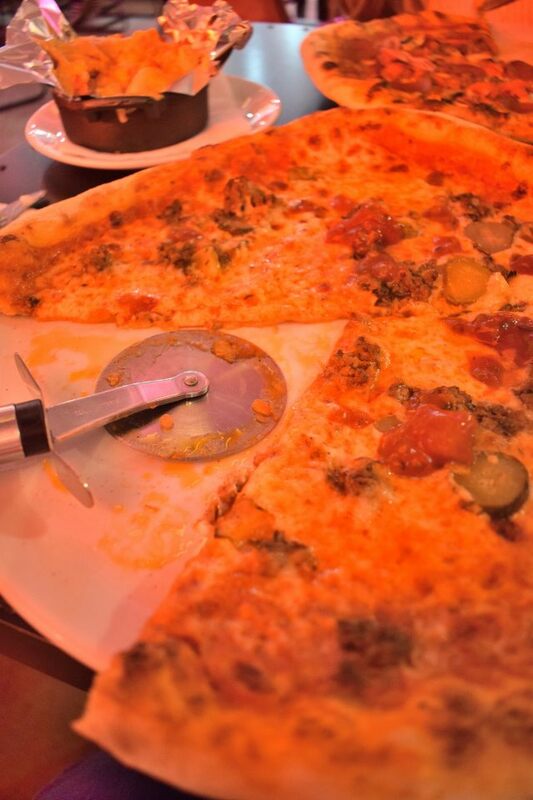 Are you a pizza fan? 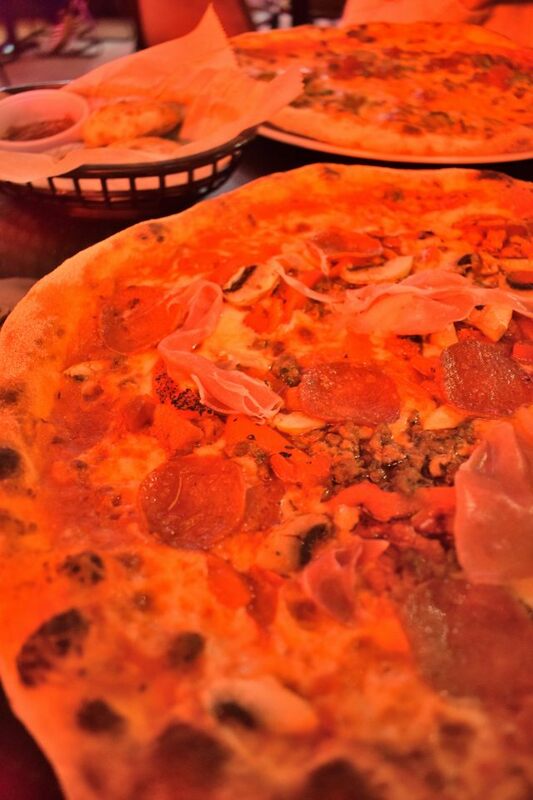 What toppings would you get on a pizza? Meal c/o Pizza Punks in exchange for a review. All thoughts and opinions are my own and 100% honest. This looks bloody delicious! I am all about the unlimited toppings, I hate having to pick a certain amount! Ohhh yum! Finally a local place I can go to! It’s so nice to see north east haunts being mentioned. oh my!! I neeeed to visit newcastle ASAP! This looks insane!